After carrying Ingrid’s hearts in my bag for almost a week, I finally remembered to put them in the mailbox. 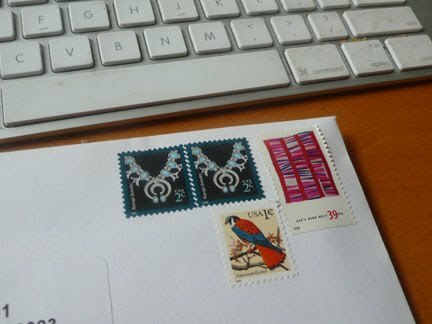 As you can see, I’m still trying to use up my stamps. Congratulations Ingrid! I'm pretty sure you mean Irene, not Ingrid … thanks for the update!